Straight Talkers San Diego Weekend! 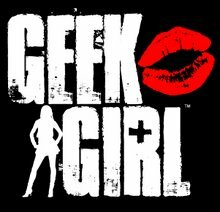 It's been a while since I've posted on the GeekGirlKnows blog, but I've been active on all of the social media sites we connect on! (@LadyDJames on Insta, @GeekGirlKnows on Twitter). If you're in SoCal this weekend (December 9-11th) come down and hang out with Ross Mathews, Stylist Salvador, Josh Wolf, Nikki Boyer, Mark, CJ, Willy and the whole gang. Check out the fun activities we have planned - including a LIVE Podcast taping! And if you haven't been around the Straight Talk podcast lately, click HERE to visit the site and watch the latest video of the live show below (where I had the honor of filling in for Nikki B this week). Hope to see you in San Diego, peeps!